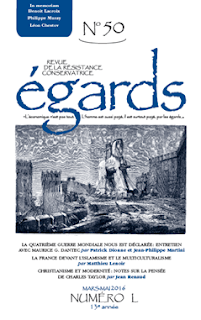 Cela à l'air très intéressant, voici une autre recension. Tucker is a brave man, to have put forward a thesis like this. Every feminist will hate it. So will every slacker father. Nevertheless, unpalatable as it may be to some, he's right. 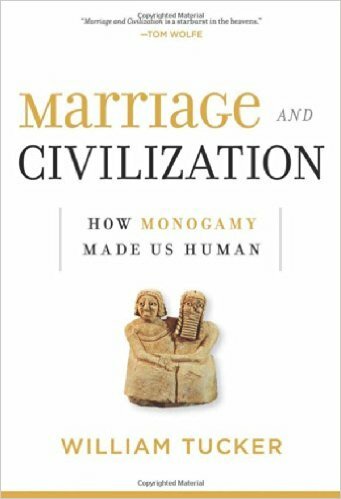 At least he's right that monogamy works best, for civilizations, for mothers, and certainly for children. 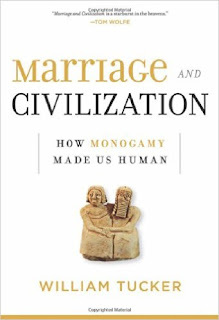 As to whether or not his theory that hunter/gatherers were monogamous, and the agricultural societies that replaced them polygamous, I don't know. He points out that "As explorers pushed...into the forgotten corners of the world...they discovered...tribes that were still practicing hunting and gathering....All turned out to be monogamous" (p 18). He also found that polygamy fostered war. Bands of unattached men turn violent. All known societies have formed marriages. It is only the current western society which has tossed even the barest form of marriage aside, leaving us with countries in Europe with illegitimacy rates of over 50%. This is a situation unparalleled in history, so there is no way to predict the consequences. What we do know, from something like a century of research into single parenting, is that a child raised in a single parent household is at a severe disadvantage. Children raised by a single parent are much more likely to be emotionally disturbed (especially boys), and, alarmingly, this continues throughout their lives. Children raised by a single parent graduate from both high school and college in much smaller numbers, and, once again, especially boys. Children of single mothers experience reading and school problems in much much higher numbers. Children of single mothers are far less likely to take advanced classes. Children of single mothers have more problems with drugs and alcohol and sexual promiscuity. Children of single mothers are much less likely to experience success in later jobs. Children of single mothers rarely qualify for gifted classes. And when they do, it is usually at a much lower level than those children from married parents. Children of single mothers are all too likely to end up in 'problem' kid classes or special ed classes and twice as likely to be suspended or expelled from school. Children of single mothers cause nearly all the disturbances in school, especially boys. Children of single parent households are twice as likely to be arrested, and comprise some 80% of the prison population. Children of single mothers are twice as likely to drop out of high school. "Children raised by a single mothers commit 72 percent of juvenile murders, 60 percent of rapes, have 70 percent of teenaged births, commit 70 percent of suicides and are 70 percent of high school dropouts. Controlling for socioeconomic status, race and place of residence, the strongest predictor of whether a person will end up in prison is being raised by a single parent.